Wohl presents another searing portrait of the active fault lines beneath the smooth surface of family life and the unpredictable nature of love. Married for fifty years, Bill and Nancy are the bees to each other's knees. No other married couple their age is as in sync or set for lifelong matrimonial bliss. 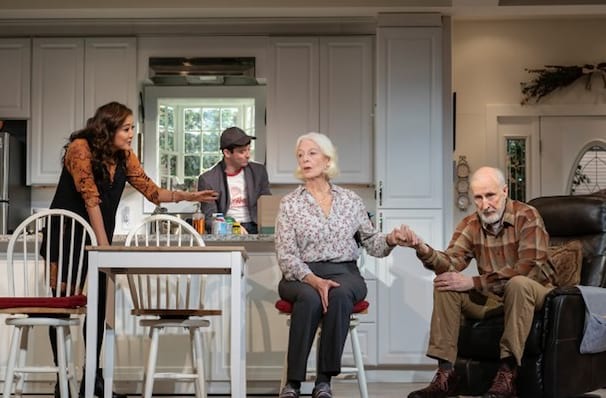 But when they move to a community-based residential facility for the elderly called Grand Horizons, Nancy suddenly wants a divorce, which comes as a shock to everyone the couple knows, including their own two sons. 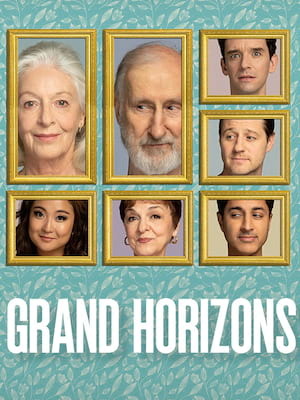 Seen Grand Horizons? Loved it? Hated it? Sound good to you? Share this page on social media and let your friends know about Grand Horizons at Second Stage Theatre Midtown - Tony Kiser Theatre. Please note: The term Second Stage Theatre Midtown - Tony Kiser Theatre and/or Grand Horizons as well as all associated graphics, logos, and/or other trademarks, tradenames or copyrights are the property of the Second Stage Theatre Midtown - Tony Kiser Theatre and/or Grand Horizons and are used herein for factual descriptive purposes only. We are in no way associated with or authorized by the Second Stage Theatre Midtown - Tony Kiser Theatre and/or Grand Horizons and neither that entity nor any of its affiliates have licensed or endorsed us to sell tickets, goods and or services in conjunction with their events.